within their parameters and budget. The goal of the exhibit is to tell the story of the Battle of Brooklyn in a variety of ways. 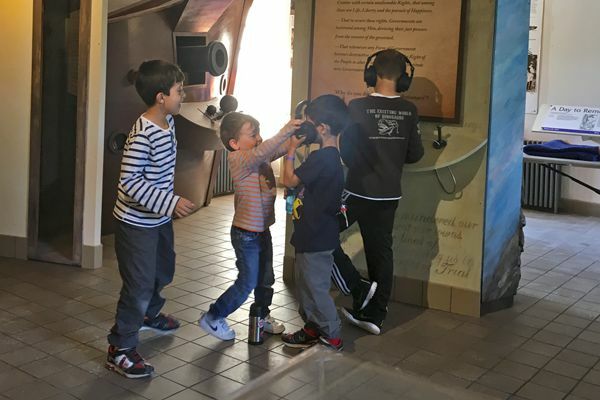 The story and information needs to be accessible to a wide range of visitors, from school age children and history buffs. our team is experienced in working on all scales of projects. The challenge for the Douglas Koch website was in figuring out how to best capture the amazing art that Douglas creates with florals while simultaneously making sure that visitors understood his extensive range of services. 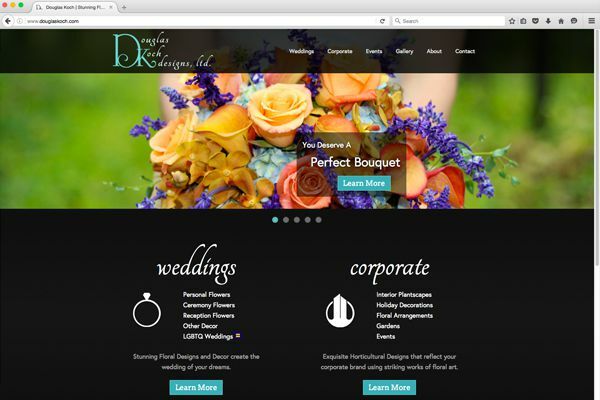 We continue to work with Douglas Koch Designs on their marketing efforts as well as continuing to grow their website. you are always involved and updated on the status of your project. Consumer Directed Choices approached us with a website and an application that needed to be updated both in design and functionality. 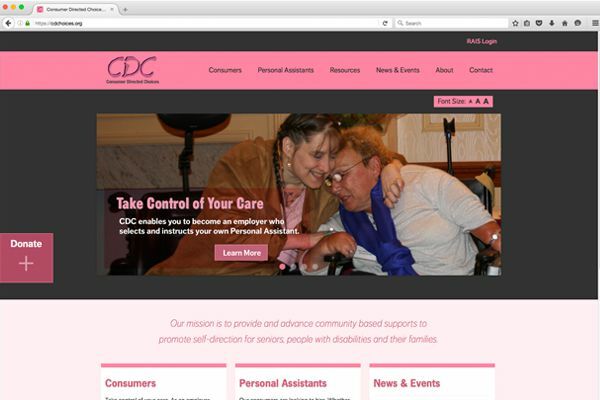 Everything we create for CDChoices needs to be disability accessible, playing an important role in all of the decisions made for their projects. Their applications are continuing to grow in size and depth, with RAIS providing a valuable tool for consumers and personal assistants. Need a video for your exhibit? Need audio for a radio ad? 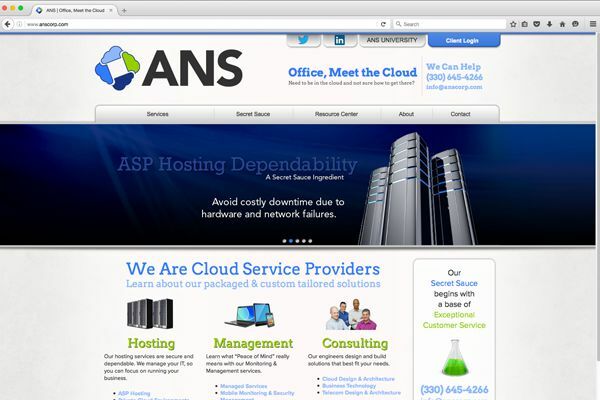 ANS Corp. was in need of an updated brand and website. Their brand needed to reflect their IT capabilities with a focus on Cloud services. 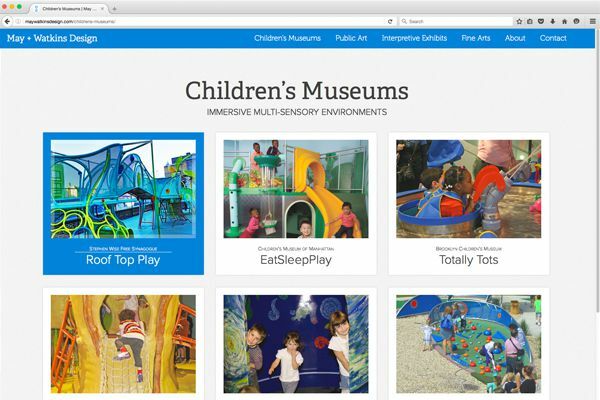 The challenge for their website was making the detailed information that some visitors would be looking for accessible, while making sure it didn't interfere with everyone else's experience on the site. that communicates who you are and what you do efficiently and effectively. The May + Watkins website presented the unique challenge of trying to showcase massive art and exhibits on a screen that doesn't do their work justice. M+W were so pleased with their website that we are continuing to work with them on their marketing efforts. provide insights, and work with you to develop strategies. We would love to show you more of our work. Just shoot us a message and we can show you the diversity and depth of our work.